Dollars are inserted into cell references to influence what happens when that cell reference is copied from one cell to another. It only affects behaviour when the cell reference is copied and pasted elsewhere. It does not have any effect if the cell reference is cut and pasted. A dollar can be inserted before either the column letter or the row number (or both). The dollar fixes that bit of the cell reference (either the row or the column). So the dollar will mean that wherever that reference is copied within the worksheet, it will always reference the same row or column. Whenever you reference a cell, you have four options that determine what happens when that cell is copied elsewhere in the workbook. Let’s assume a formula in cell A1 is referencing cell C1, and that A1 is then copied into cell B2. Below is the behaviour based on different references to C1. 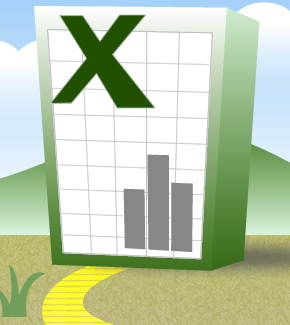 Excel makes it easy to toggle between the four values above in creating your formulae. When you're in the middle of entering a formula, put the cell reference in the formula, either by clicking the cell itself or typing its reference. Once you've done this, repeatedly tapping F4 will toggle between the four options above. It's handy and quick. If you need any help, get in touch and I'll try to help. This entry was posted in Advice and tagged Dollars. Bookmark the permalink. My problem is:I'm working a spread sheet and adding currency and subtracting to different colums everything works fine until I get down to about ten lines and when I subtract the same as I did before but when I want a total, I get a box saying value in stead. How can I get ride of this and get the total amount I want? Tell me how to get ride of the box that says Value instead of my total. now i am trying to create a formula on the price column but the problem is that the column has a $ symbol next to the price and when i try to create a simple multiplication formula or a different calculation formula it doesn't work it just comes up VALUE and as i understand this means an error symbol. when i remove the $ symbol it works fine but it only lasts till the next time the sheet gets updated from the source as the $ symbol comes back into the column so there is no use on just removing the $ symbol. please let me know if you can help me with this. and how long can i expect to wait for an answer?